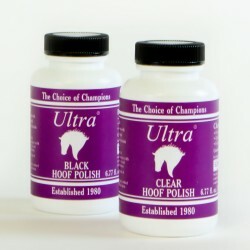  A high lustre hoof polish that dries in less than a minute. 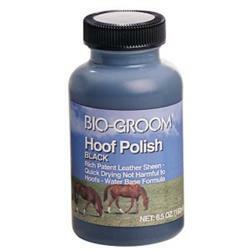  Does not penetrate hoof wall. 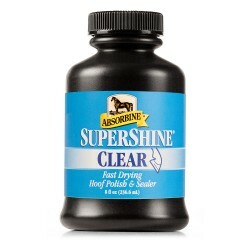  Applicator brush attached to lid. 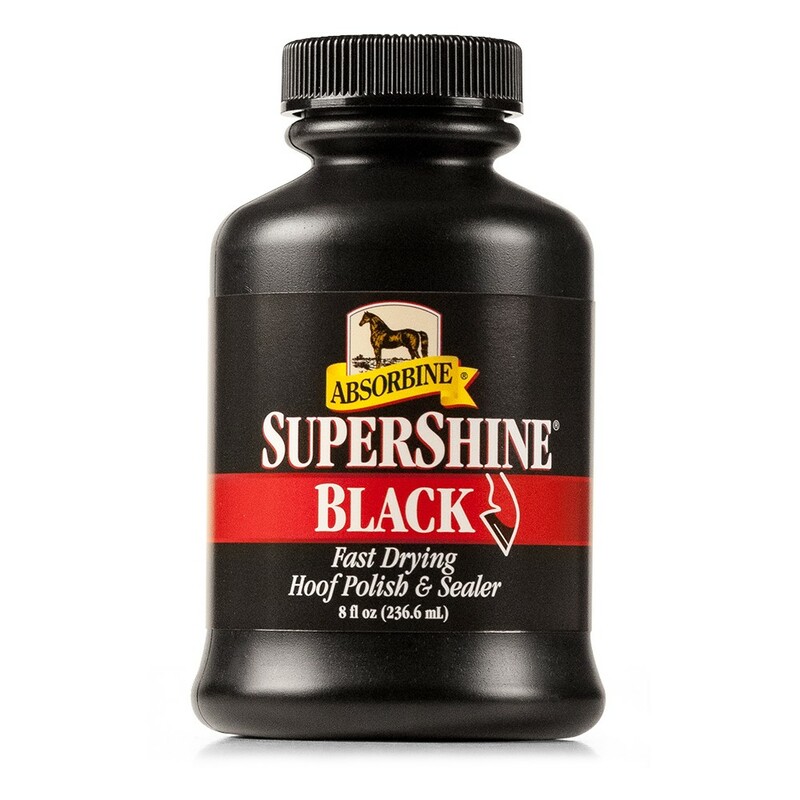 Thank you for your review of Absorbine Supershine Black 236mL.